Which newsprint producer made the complaint and why? The producer is North Pacific Paper Company, NORPAC, Longview, WA. It was recently acquired by a NY equity fund, One Rock Capital Partners. NORPAC alleged that the Canadian government unfairly subsidizes newsprint production, and provides financial support in ways that benefit Canadian production. It asked for duties up to 50% on the Canadian paper. No other US producer has joined the complaint. Why is the Department of Commerce involved? DOC’s job, along with the International Trade Commission, has the duty of creating a “level playing field” for US producers and protecting American jobs. It can implement preliminary duties while it investigates, as it did in this case. In January, it announced a preliminary finding of a range of subsidies with a high of nearly 10% against Kruger Trois Rivieres of Canada; 4.42% against Resolute FP of Canada; and a variety of rates against other Canadian producers with the average at 6.53%. The Commerce secretary ordered US Customs and Border Protection to begin requiring cash deposits at these levels at the border. In March, it added tariffs of 22% as preliminary anti-dumping sanctions. Why is the International Trade Commission involved? A. After a complaint of unfair trade practices is filed, statutory requirements dictate the ensuing proceeding. ITC issued a preliminary determination of a violation in September 2017. The proceedings differ slightly for a countervailing duty investigation and an anti-dumping investigation, but in both cases, after preliminary determinations of likely harm occur, ITC issues a final injury determination, usually about a year after the initial complaint. It will hold an important evidentiary hearing July 17. A final decision on possible permanent tariffs is due by Sept. 17. Does it affect all paper? DOC defines UGW paper as follows: Certain uncoated groundwood paper includes but is not limited to standard newsprint, high bright newsprint, book publishing, directory, and printing and writing papers. The scope includes paper that is white, off-white, cream, or colored. How much newsprint do Canadian mills export to the US? About 2.3 metric tons, which is roughly 75% of the US newsprint supply. US mills cannot supply US most newspaper needs. At present, mills are operating at or near capacity. Are Canadian shipments depressing the price for US newsprint? Industry economists say the prices for newsprint are dictated by the usual rules of supply and demand. Because US demand for newsprint has shrunk dramatically over the last 20 years, many US producers have simply left the business—either closing mills or converting them to other paper products. If a tariff resulted in much higher prices, would more producers enter the market? Unlikely. First, demand for newsprint continues to fall and will now fall faster among publications able to shift to digital. 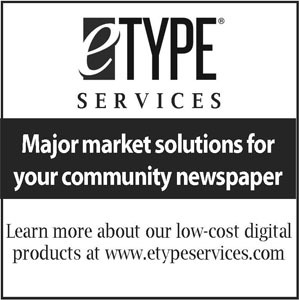 Smaller newspapers cannot replace paper with digital. They are experiencing alarming paper shortages now, but their demand alone will be insufficient to justify new production. Second, siting and constructing a new newsprint mill takes years to complete. Many newspapers would be irretrievably damaged long before any new production could come online. What would be the result then, if a 50% tariff were initiated? Newspapers have already seen production price increases of 30%+, and promises of higher prices to come. Their advertisers are also seeing production increases, which will lead to income loss at newspapers. Shortages of supply are predicted in some parts of the US. Without paper, newspapers are out of business. Jobs would be lost not only in newspapers, but in the supply chain around newspapers, such as ink suppliers, fuel producers, equipment manufacturers and office suppliers. If a newspaper’s page count were reduced, advertising prices would be effectively higher for small businesses in the market. If newspapers were forced to close down, advertisers would lose an important outlet for promoting goods and services. 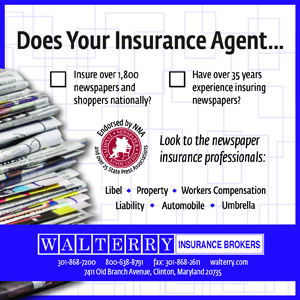 In most small towns, the printed newspaper is the only effective advertising medium. Locally-owned broadcasting is extremely limited and digital advertising is largely unavailable or does not reach many homes because of an absence of broadband. The loss of jobs would be difficult to model without more detailed Census data on small town economies, but it is easy to anticipate that if even a few newspapers were lost, far more jobs would be sacrificed than the approximately 250 jobs that NORPAC claims to have at risk. What can be done to stop this disaster? First, Members of Congress can testify at the ITC to express concern about the loss of jobs and the damage to local communities if a newspaper is lost. Second, a bill to require the Commerce Department to evaluate the financial health of the newspaper business before moving forward is expected in the US Senate, sponsored initially by Maine Senators Collins and King. A companion bill is soon expected in the House. Members of Congress can co-sponsor these bills to make sure the Commerce Department understands the severity of the threat to newspapers. 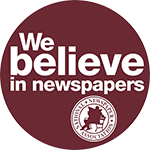 Third, letters to Secretary Ross from Members of Congress, governors, mayors, economic development leaders and others concerned about the fate of their local newspapers are welcomed. To see some that have already been written, visit https://www.stopnewsprinttariffs.org. Do the STOPP initiatives change US trade law? No. Some organizations have expressed concern about factoring in effects of rising production prices and supply shortages upon local newspapers because they oppose similar factors in other trade cases. But STOPP does not seek changes in trade law. This case is unique, both because of the irreparable damage it is causing to local news and because the result cannot lead to a stimulated US production. For more information, contact Tonda Rush, tonda@nna.org. National Newspaper Association.